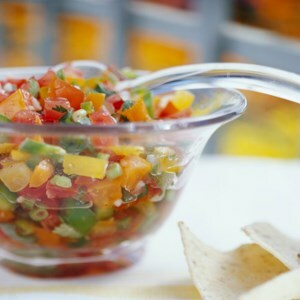 Find healthy, delicious salsa recipes, from the food and nutrition experts at EatingWell. 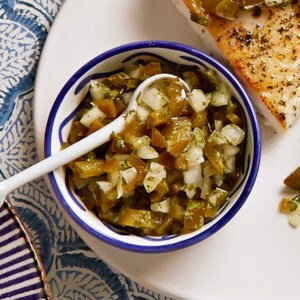 With plenty of kick from a serrano chile pepper, this tomatillo-and-tomato medley is perfect for serving as a snack with baked tortilla chips or, another time, as a relish for broiled fish or chicken. 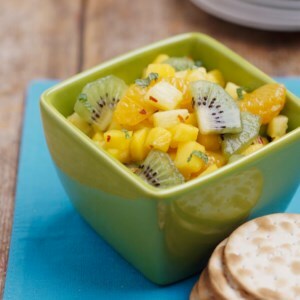 Pineapple, mango, kiwifruit, and mandarin oranges are tossed with a zesty dressing in this low-calorie side dish. 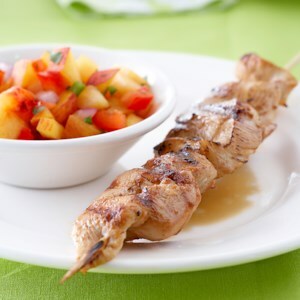 Serve it with grilled beef, chicken, or fish. 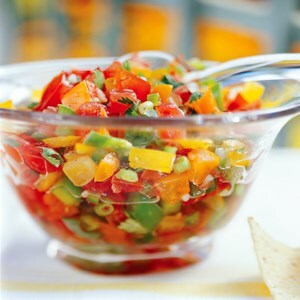 For best flavor, make this fresh-tasting salsa with vine-ripened tomatoes, If you like your salsa mild, use the banana peppers. For a fiery hot version, opt for jalapeño, serrano, or Fresno chile peppers. Walk into a Mexican home and you will see something like this sauce on the table. It's used as a condiment to add zing to absolutely anything and everything. This version is light and intensely flavorful. 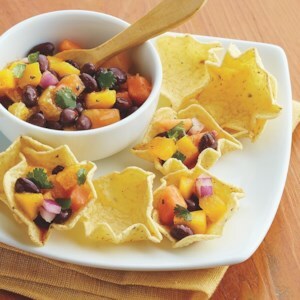 This black bean salsa is sweetened with pieces of papaya, mango and orange, and served in individual scoop-shaped tortilla chips. It's quick to prepare and the perfect offering for your next gathering. 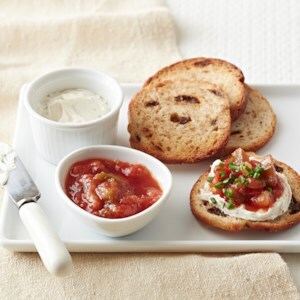 Satisfy your hunger with these sweet bruschetta. 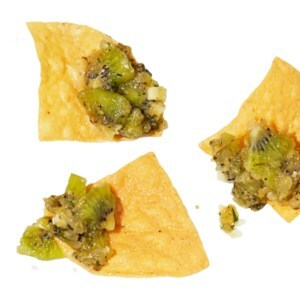 Topped with pineapple salsa and a soft, garlicky cheese, this easy snack is ready in minutes. 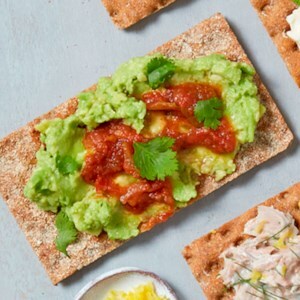 Avocado and salsa team up for a zesty Southwest-inspired topping on a whole grain crispbread. 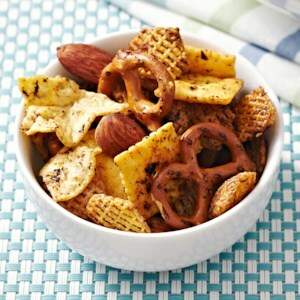 This snack is packed with fiber, veggies, and healthy fats, and it takes just minutes to put together. 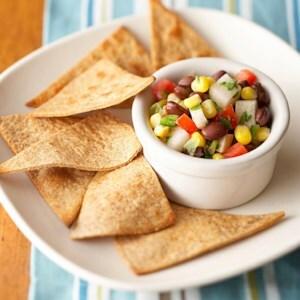 Spoon this quick and easy salsa with black beans, corn kernels, jicama, and jalapeno pepper on baked tortilla chips or homemade pita chips. 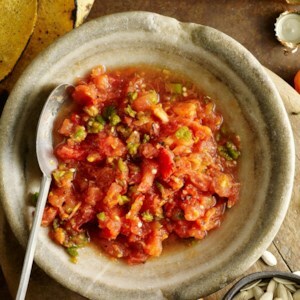 This hot salsa recipe is typically made in a large molcajete (lava-rock mortar and pestle), but this recipe calls for a food processor or blender to make it easier. If you have a molcajete, feel free to use it instead. If you can't find the bright orange manzano chiles, sold at Mexican grocery stores, double the amount of jalapeño (or for a hotter salsa, double the habanero). 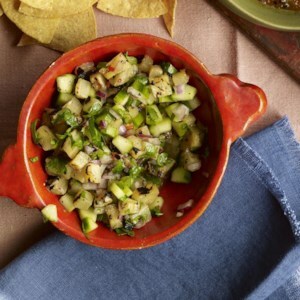 In this healthy salsa recipe, tomatillos are softened on the grill and slightly charred for smoky flavor. 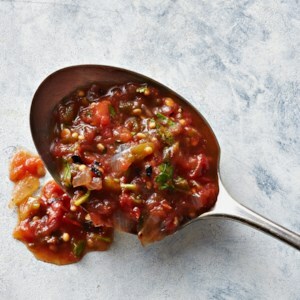 To vary the heat in this salsa recipe, use 1 teaspoon of chipotle powder for mild and up to 3 for a little kick in the pants. 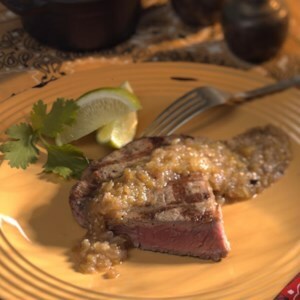 Serve with grilled chicken, steak and fish or use as sauce for tacos, enchiladas or tostadas. 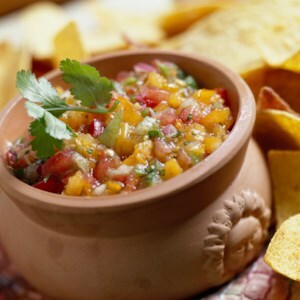 Habanero chile gives this caramelized pineapple salsa recipe a little spice. If you're looking to tame the heat, try fresh jalapeños instead. 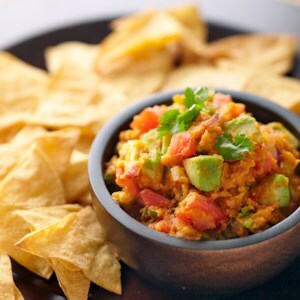 Serve with grilled chicken or fish, as a dip with tortilla chips or on top of your favorite tacos. Grilling fresh peaches for this healthy salsa recipe is key to achieving a mellow caramelized flavor. 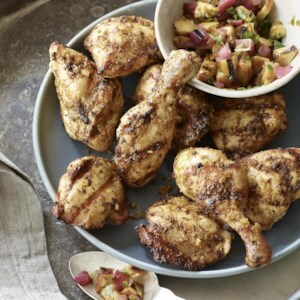 This fruit salsa is brilliant spooned over grilled chicken, but just as delicious served alongside a basket of tortilla chips. A sweet-and-sour tangelo salsa complements the toasty coconut crust on these sassy little coconut shrimp. 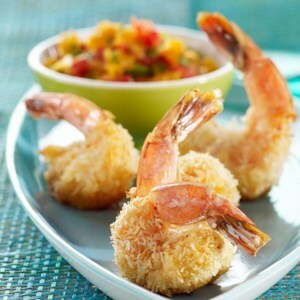 Serve these healthy baked coconut shrimp as a plated first course with the tangelo salsa or as a passed hors d'oeuvre. Be sure to use unsweetened shredded coconut or this baked coconut shrimp recipe will be too sweet--look for it near other baking supplies or in bulk at natural-foods stores or well-stocked supermarkets. Tomatillos are delicious raw, but they take on a sweet, smoky flavor when cooked on the grill. 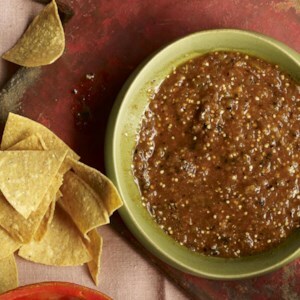 This quick salsa makes a great topping for grilled meats and fish and it's excellent with eggs and corn tortillas. If you like, add some diced avocado just before serving.